Janet Stewart (Anabel Shaw) is eagerly waiting for her husband, Lt. Paul Stewart, (Frank Latimore), at a hotel. He’s been a prisoner of war. She thought he was dead, but now she’s been notified he is alive. He is late arriving and Janet falls asleep in the hotel room. She has a bad dream which awakens her. Shortly after she is awake, she witnesses a man kill his wife in the next room. When her husband Paul arrives and finds her in a shocked condition, he telephones for the doctor. The doctor contacts Dr. Richard Cross, (Vincent Price) a psychiatrist. Dr. Cross is the same man who killed his wife in the next room. Of course, Dr. Cross’s nurse (Lynn Bari) is also the woman he loves. Oh my word! This is a good film. I like Noir films though. What Dr. Cross put Janet though was horrible. I was cheering for Janet the entire film, hoping she would live through the terrible ordeal. Her husband Paul was so worried about his wife. I was sitting on the edge of my seat wanting the film to hurry so I could see the ending. 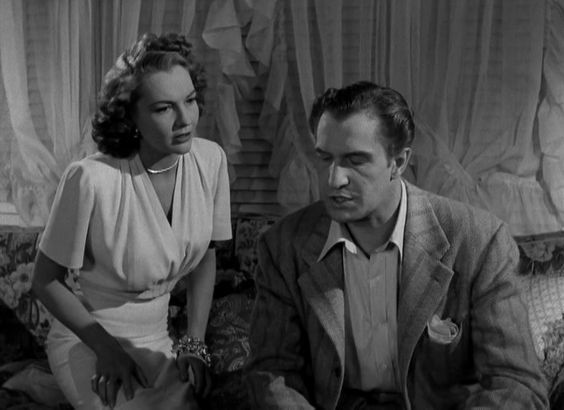 Vincent Price is not my favorite actor, but he was in some interesting films! Highly recommended. Hello Peoples! June is almost gone. It was a great month. I hope June was as fun for you as it was for me. As you know, we went on a refreshing, short vacation to North Dakota! 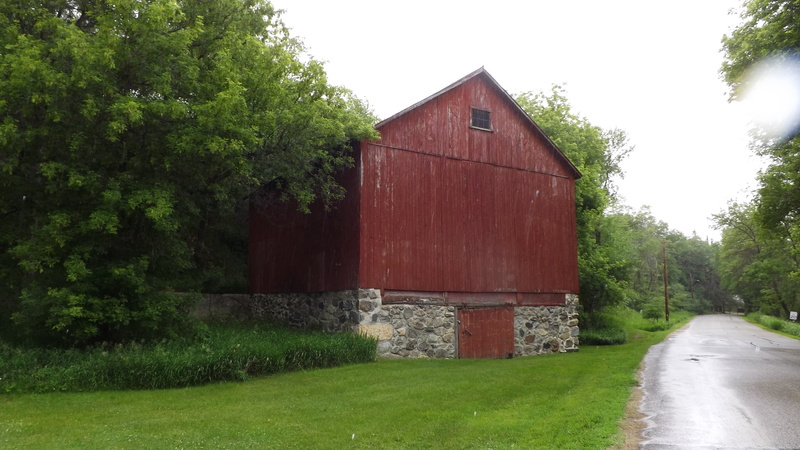 Do you think barns are interesting? Strange question? When we were in North Dakota, we saw this interesting barn in the small town of Fort Ransom, outside the state park. I took a photo. Isn’t that a great barn??? Oh my word! We have a new ice cream shop in town. It’s within walking distance to our home! NO! NO! NO! 🙂 A chef owns this amazing shop and makes the ice cream and gelatos fresh daily! Complimentary copy from NetGalley through Bookouture. Becky’s author mother left her and her dad when Becky was a young girl. Years later, Becky’s mother contacts her, informing her daughter, now a veterinarian, that she is dying. Becky goes to her mother’s bedside. Before she dies, she tells Becky she has a sister. It doesn’t take long for Becky to decide to find her sibling. I loved Becky. I thought she was an endearing character and she was committed to locating the sister she didn’t know. 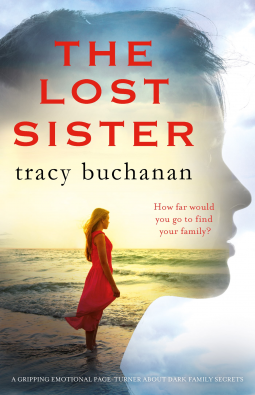 Becky certainly traveled to some interesting locations and met some interesting characters in search of her sister. This book captured my attention and held it, but I am sorry to say, it had some tough profanity and adult content in it. It is a mystery with some surprises and at one point I jumped out of the chair I was sitting in. I don’t think I’ve ever read a book quite like this one. I received a complimentary copy of this book from Bookouture through NetGalley. Opinions expressed in this review are completely my own. 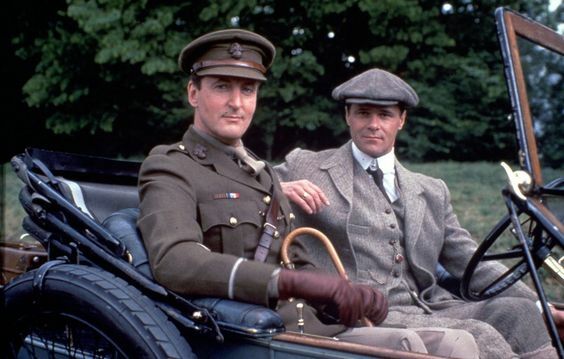 Hastings (Hugh Fraser) is trying to recover from the war. He accepts the invitation of a friend (David Rintoul) and agrees to stay at a manor house, in the English countryside hoping for rest. During the night, the matriarch dies from poison! Hastings asks for help to solve the mystery of the murder from Poirot who is staying at a home, nearby, with other refugees. All of these book to film adaptations have been good. Our local library has had them and I’ve been watching several as I find them on the shelf. I’ve read this book, but I couldn’t remember who the killer was ~ that nefarious person. Some of the automobiles in these films are very snazzy! David Trask (Gary Merrill) is leaving his wife. 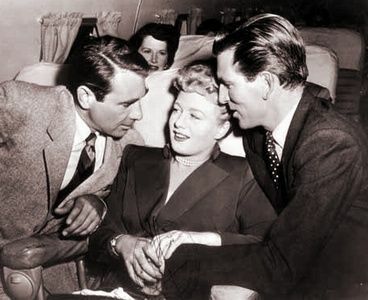 As he prepares to leave on a flight, he meets and becomes friendly with three other passengers, Dr. Robert Fortness (Michael Rennie), Eddie Hoke (Keenan Wynn) and Binky Gay (Shelley Winters). They are certainly an interesting group of people, each with a story to tell. The plane takes off in the rain and when the flight encounters lightening it has to land unexpectedly, so the passengers and crew spend the night together in a small airport. The following day, the flight takes to the air but encounters unexpected obstacles and crashes killing eighteen passengers with three passengers surviving. David Trask is one of those survivors and decides to visit the families of the three people he befriended on the flight. This is a good movie and even though it is a tragedy, in the end I had such a good feeling. David Trask was certainly brave, not really knowing how each family was going to respond to his interference into their lives. It did all work out in the end and there were a few unsung heroes in the story. 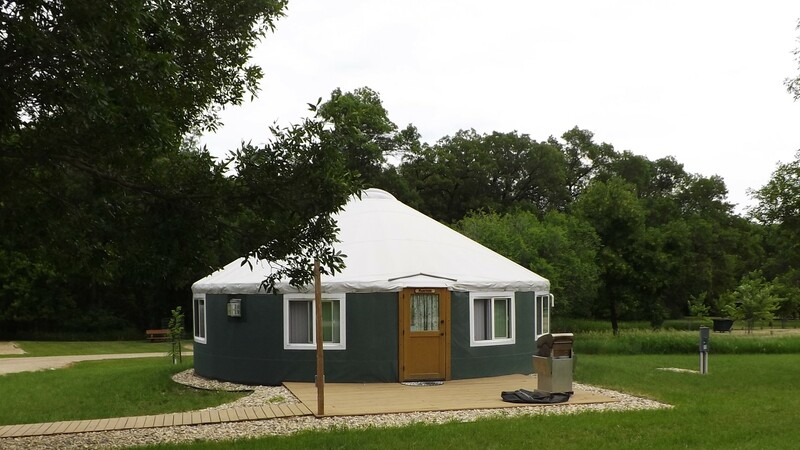 This is a Yurt. A Yurt is new to me. 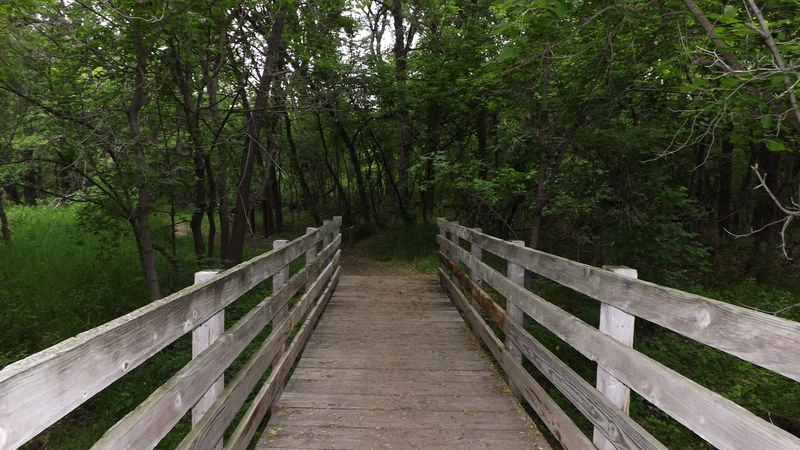 Fort Ransom State Park has two Yurts and visitors to the park can rent them. Have you ever heard of a Yurt, lived, or stayed temporarily in one? 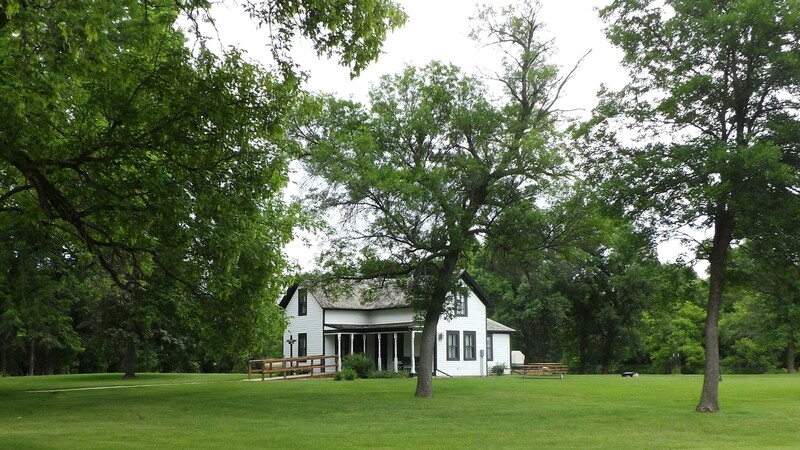 This is a house visitors can rent at Fort Ransom State Park. 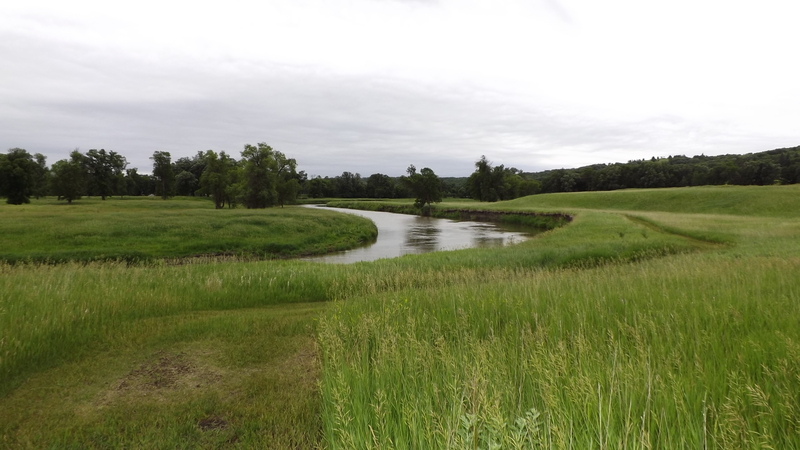 When Rick and I arrived at Fort Ransom, there was a BIG family staying at the house. It looked like a family reunion! They had a camp fire burning and were enjoying themselves. They had several children. 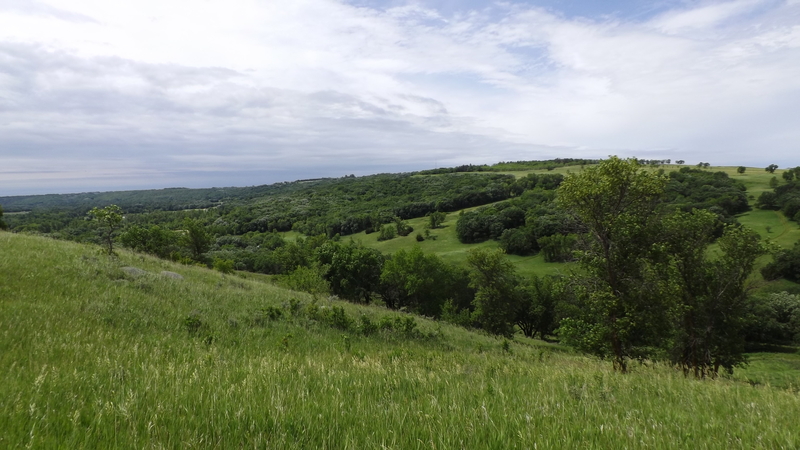 As you can see, the views from the top of these hiking trails are wonderful! I rarely use the zoom on our camera. 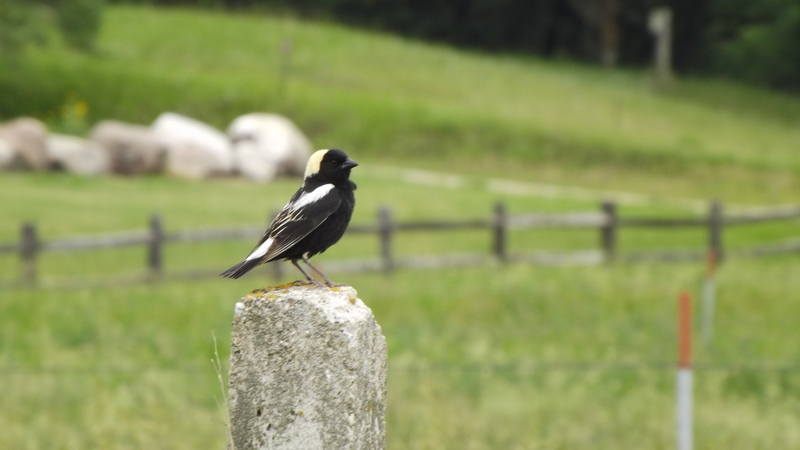 Rick asked me to use the zoom and try to capture a photo of this bird. I was surprised the photo turned out as well as it did. The state park borders farms, so we saw several fences around Ransom informing hikers where Ransom ends and a farm begins. I would like to return to Fort Ransom in the winter. I would really enjoy walking around in snowshoes and hiking in the snow. 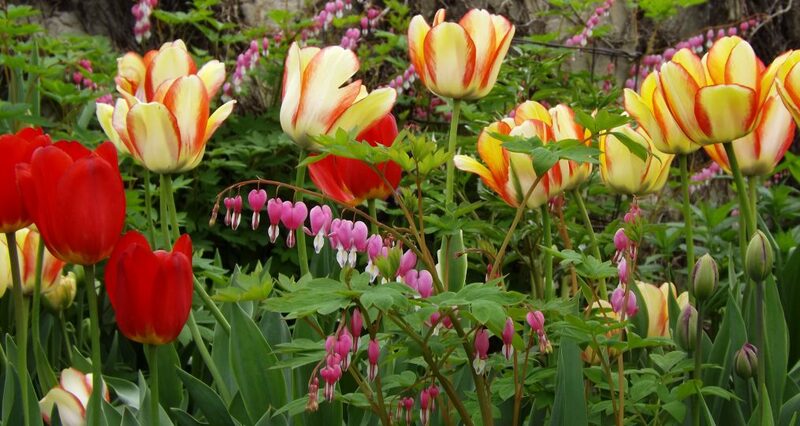 Hopefully, we will visit in the winter. Enjoy! 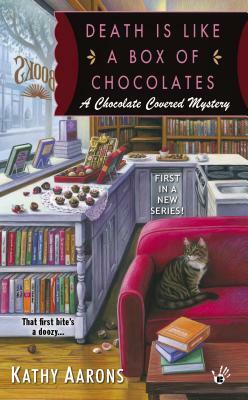 This cozy mystery is the first is a series, A Chocolate Covered Mystery. Michelle and Erica own a combined bookstore and chocolate shop! Nice idea! 🙂 I’m all about chocolate and I’m all about books, so the two are great together! They are planning and preparing for a fudge cook-off! I want to be a judge! 🙂 The photographer, Denise, is discovered dead, apparently poisoned. Michelle and Erica support one another as Michelle investigates Denise’s murder. This is a new to me author. I liked the mystery, which I didn’t solve, but when all was revealed, I wasn’t surprised. Michelle and Erica, best friends, work well together. There’s an irritating reporter in the story, and of course there’s a great lookin’ guy. 4**** stars! Death Is Like A Box of Chocolates is number 23! That’s right! I’ve read 23 cozy mysteries in the Cozy Mystery Challenge. My goal is to read 30 cozy mysteries. Happy Reading!